Nothing beats a home security system when it comes to keeping your property safe. Having one can even lower your homeowner’s insurance. But, that’s not all a home alarm system can do. It can actually save your life. Many burglars are on the hunt for an easy job. They’re just looking to make a quick buck, which means burglarizing your house when you’re away from home. As devastating as coming home to your house in shambles can be, it doesn’t shine a candle to what can happen if the intruder doesn’t care whether you’re home or not. There are countless stories of home burglaries gone wrong. In some of these cases, the homeowner is injured or killed, while in other cases, the burglar was injured or killed. If you’re lucky to survive, your life will likely never be the same. There’s also the possibility that the intruder isn’t looking to burglarize your property at all. They’re looking to be violent in the first place. A home security system can stop all of this from happening. A few well-placed cameras and stickers in the window are enough to keep most home intruders at bay before they are able to change your family’s life for the worse. A home alarm system will automatically register the presence of an intruder and send emergency personnel to your location, even if you’re unable to answer their call. But, did you know that some alarm systems provide other emergency services? Each system is equipped with an emergency button. Even if the alarm isn’t tripped, that button can be pushed and you’ll be immediately connected to a representative from the alarm company. If you’re experiencing a medical emergency, or you’re witnessing another emergency in your home or your neighborhood, you can push that button. Even if the person on the other end can’t help you directly, they’ll be able to get you the help you need. Home alarm systems aren’t just for deterring and identifying burglars, even if that happens to be their primary function. They can keep your family safe in other ways, and that includes fire and smoke detection. Every second that a fire rages on, the more dangerous it is to your family and your property. A home security system can lessen the time it takes for firefighters to arrive on the scene, ultimately increasing your chances of making it out of the house alive. You’re probably thinking that you have smoke detectors already, but what if they go off when you’re in the bathtub? Or you’re in bed? Getting to a phone quickly can be difficult and dangerous. With a monitored alarm, the call will be made on your behalf immediately. 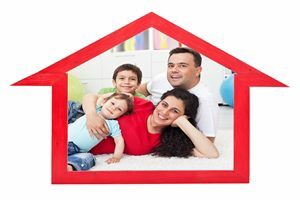 All you have to do is worry about getting your family out of the house safely. Burglaries, fires, and medical emergencies are obvious, but what about the dangers that lurk in your home that aren’t so obvious? Carbon monoxide is known as the “Invisible Killer“. It’s colorless and odorless, which means your family may be subjected to this deadly gas and not even know it. But, you’ll know right away if you have a monitored alarm in your home. Your system won’t be able to remove the deadly gas from the air, but it will monitor the levels of carbon monoxide in your home. If they reach dangerous levels, you’ll be notified right away. Your home alarm company may even be able to provide you with information on the next steps you should take to rid your home of its presence. 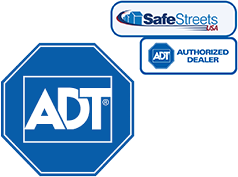 With so many great home security systems to choose from at affordable prices, it’s silly not to look into your options. Choosing the right one could save your life.